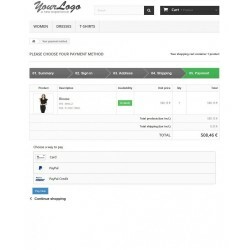 One module enables the most important payment methods for your shop. PayPal, Credit Card, PayPal Credit and Apple Pay – Your customer decides how to pay! 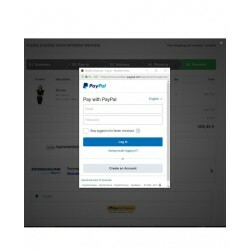 Braintree vault: Returning visitors don't need to enter Credit Card or PayPal details again! 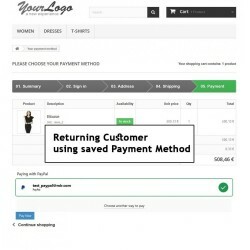 All payments will be shown in the PrestaShop backend. Additionally, the transactions are also available in your Braintree account. For every payment, your money will be transferred to your Braintree account immediately. Payment methods can be stored by making use of Braintree’s tokenization technology (Braintree Vault). No data will be stored in your shop or on your servers. You will experience a dramatic increase in Conversion Rate as returning customers do not need to enter Credit Card or PayPal details again! One module to provide Credit Card and PayPal in all markets. No additional Credit Card payment provider required! In order to use this module, you must open an account with Braintree. Braintree does require that you have a SSL certificate installed. 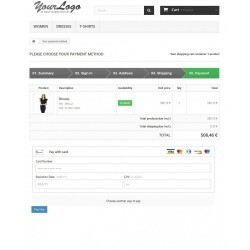 EU legal functionality: The module updates your template to fulfill Trusted Shops requirements: New Checkout Page "Review Order" "Order Completed". - Apple Pay is only available for the markets where the payment method is rolled out as of today. 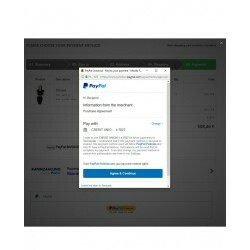 - To be able to use PayPal Credit, you need to sign up for this product on PayPal.com! PayPal Credit is not available for all markets! For PayPal Credit Germany, another product (PayPal Ratenzahlung) is required.